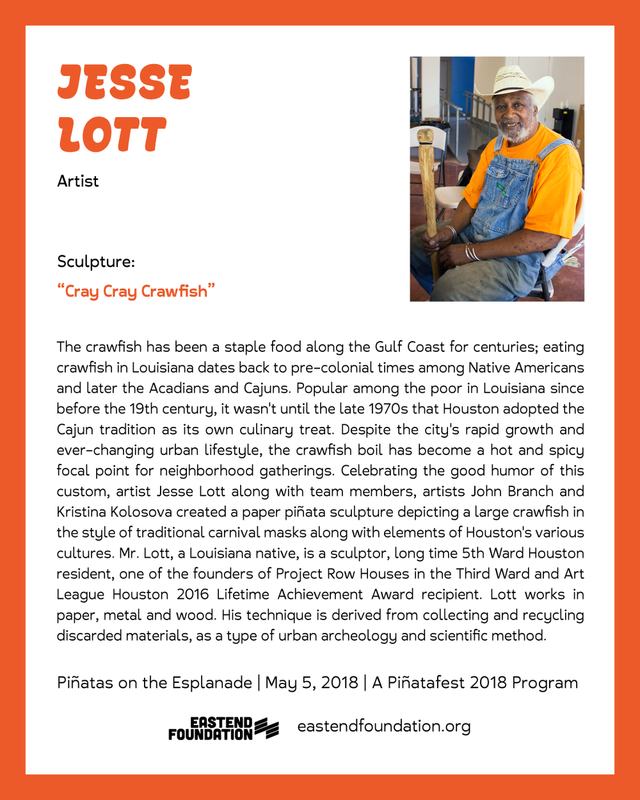 Saturday, May 5: Piñatas on the Esplanade invites creatives and makers to construct sculptures inspired by the tradition of Piñata making. 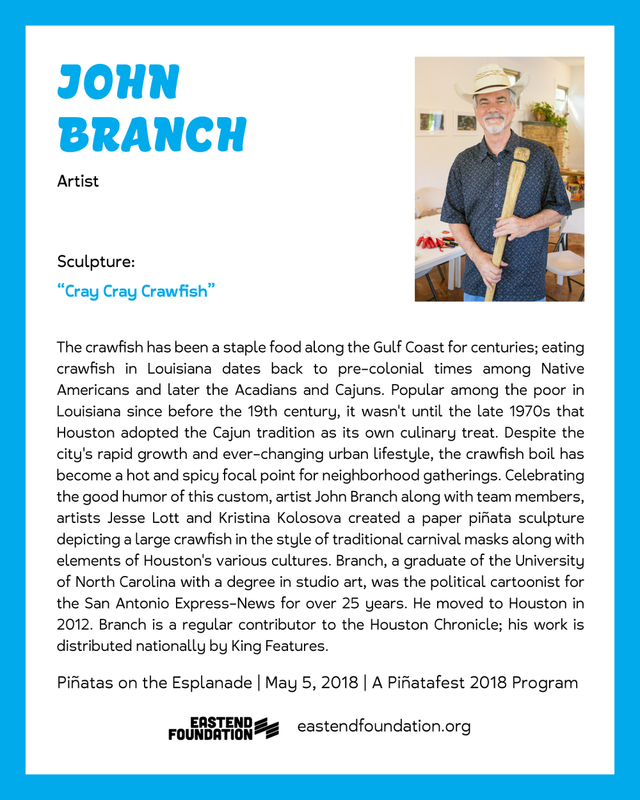 The Piñata Festival’s vision is to celebrate Houston’s connection to folk art and funk as well as neighborhood cultural traditions. Each applicant accepted will receive a modest stipend to create their sculpture. There is no cost to enter. Accepted sculpture proposals will be exhibited on the iconic Navigation Esplanade in conjunction with family-friendly Piñatafest activities. Jurors will announce awards on Saturday, May 5th at 3pm on the wooden deck in front of The Original Ninfa's on Navigation. Entry is open to individuals as well as collaborative groups. All participants must be 15 years of age or older.